Potatohead People - Morning Sun DJ Spinna Remixes Dropped Today! 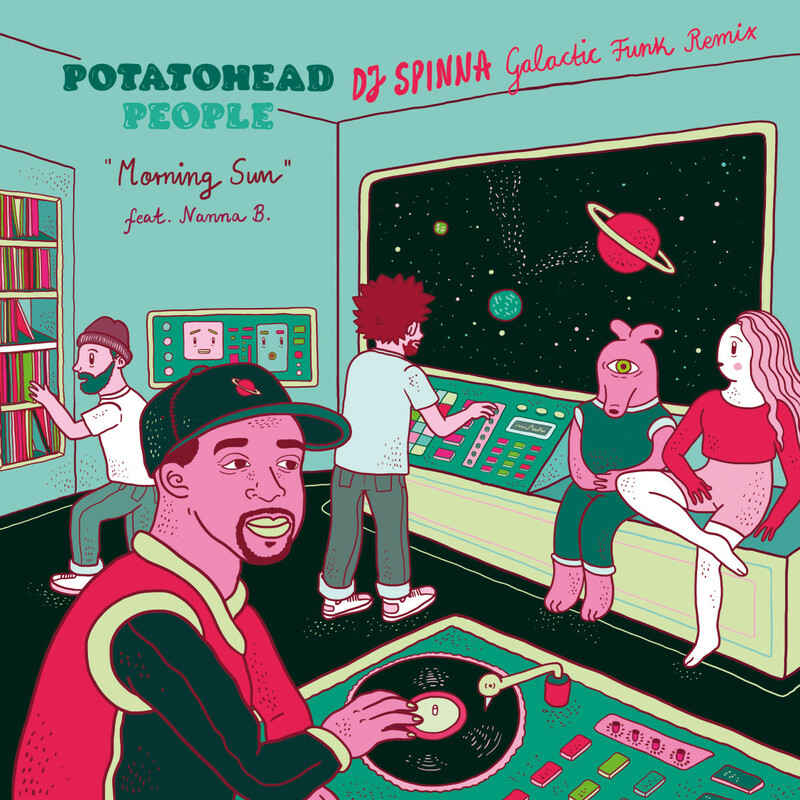 Potatohead People – Morning Sun DJ Spinna Remixes Dropped Today! After the success of their sophmore album “Nick & Astro’s Guide To The Galaxy” last year, Potatohead People are back with a special remix of the first single “Morning Sun” off the album (featuring vocalist Nanna.B) on the album rom the legendary DJ Spinna. Spinna gives “Morning Sun” his signature Galactic Funk flip, beefing up the drums into a cosmic shuffle, with an analog arpeggiating bassline, lifting strings and synth squelches. Also included is the instrumental on the flip. Cover art comes from Berlin’s Rahel Susskind who revists the Guide To The Galaxy concept from inside the funky spaceship. Blast off!